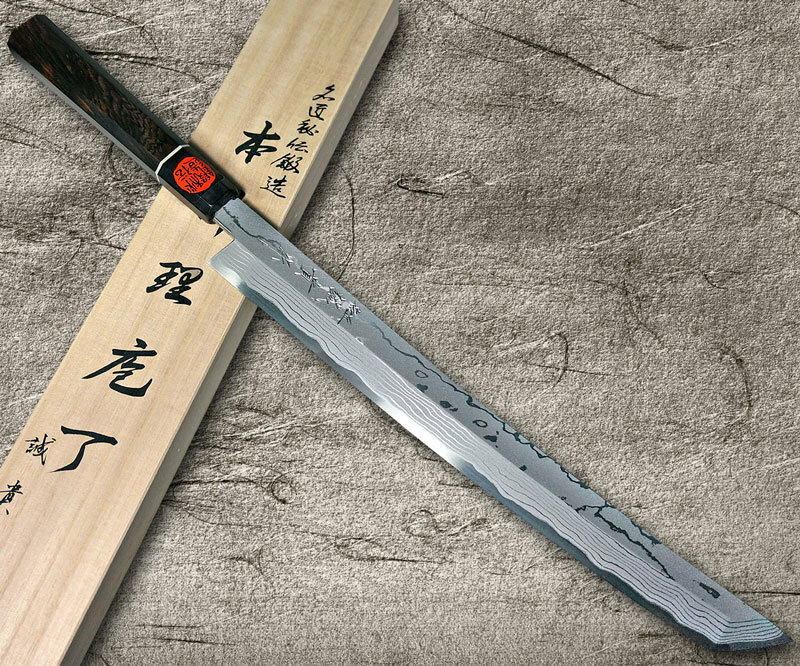 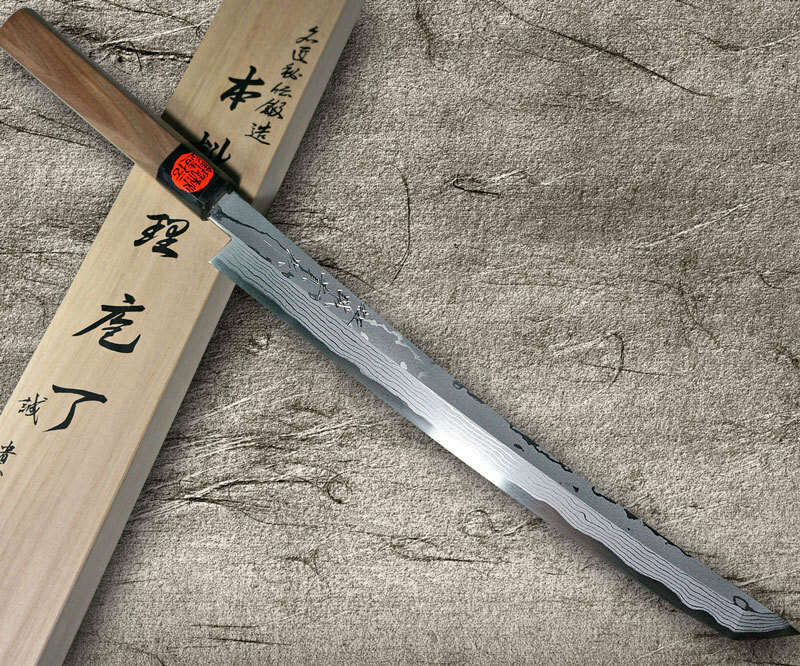 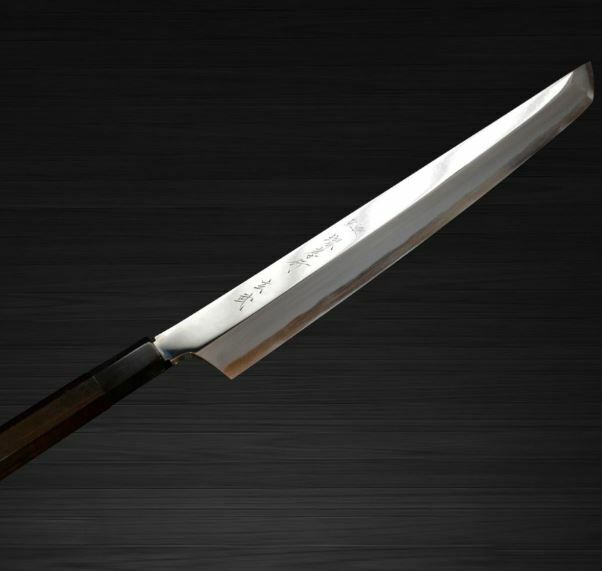 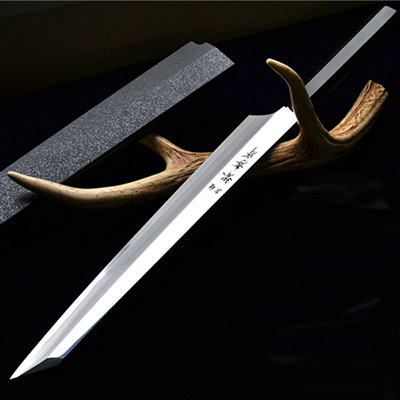 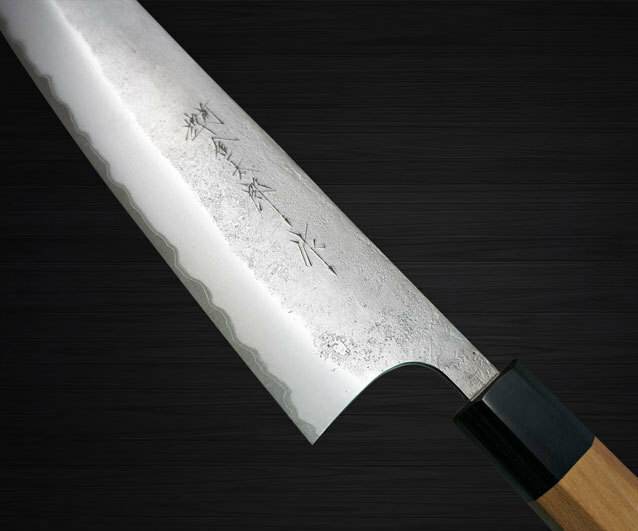 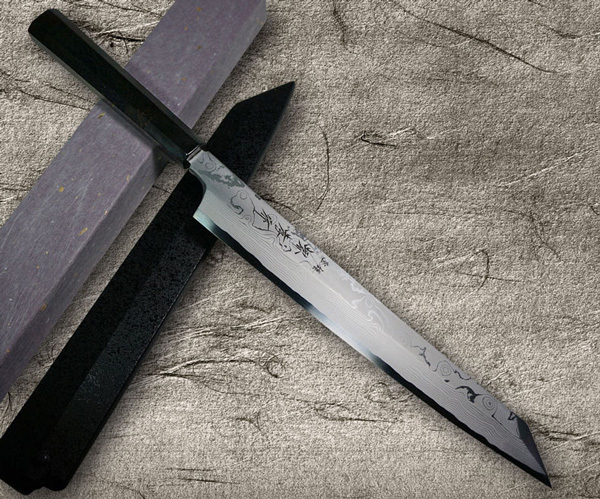 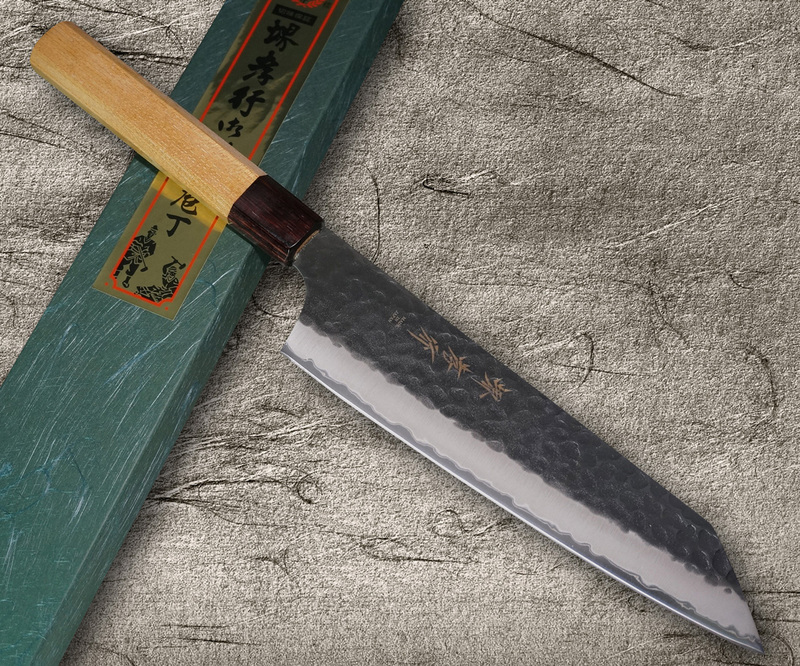 Blue Paper Steel (“Aoko” or “Aogami” in Japanese) has a high level of stickiness and abrasion resistance thanks to chromium and tungsten, so it can keep you from worrying about chipping-off and wearing-out of a blade to some extent compared to White Steel. 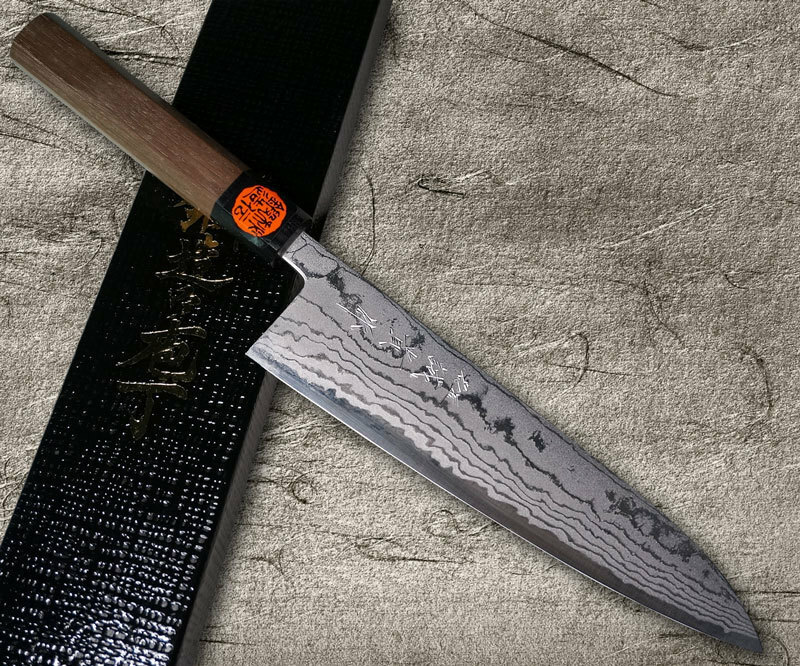 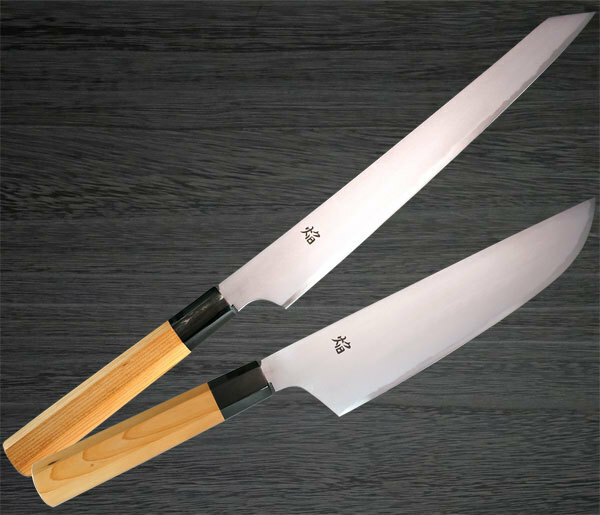 If you are a skilled chef, you should be able to appreciate and enjoy an Aogami knife satisfactorily with “Aogami No.2”. 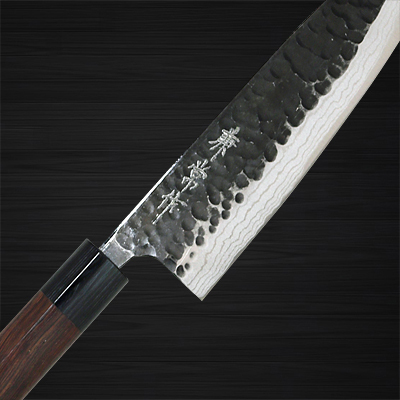 It can be proved by the fact that the most selling Aogami item is “Aogami No.2”. 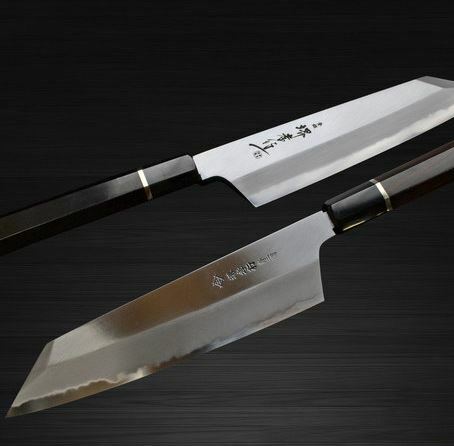 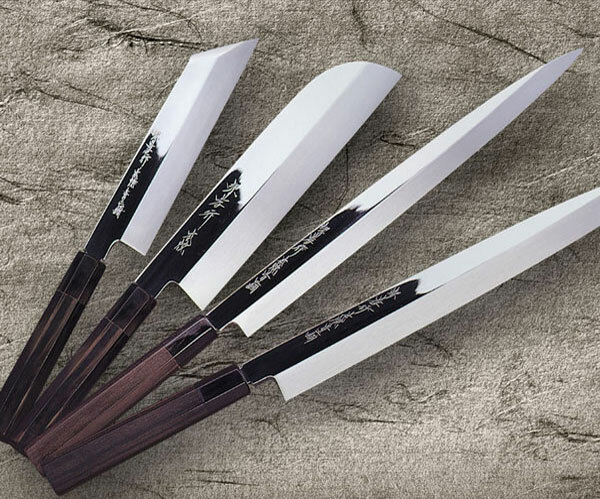 As next step, you could upgrade your cutlery to Aogami No.1. 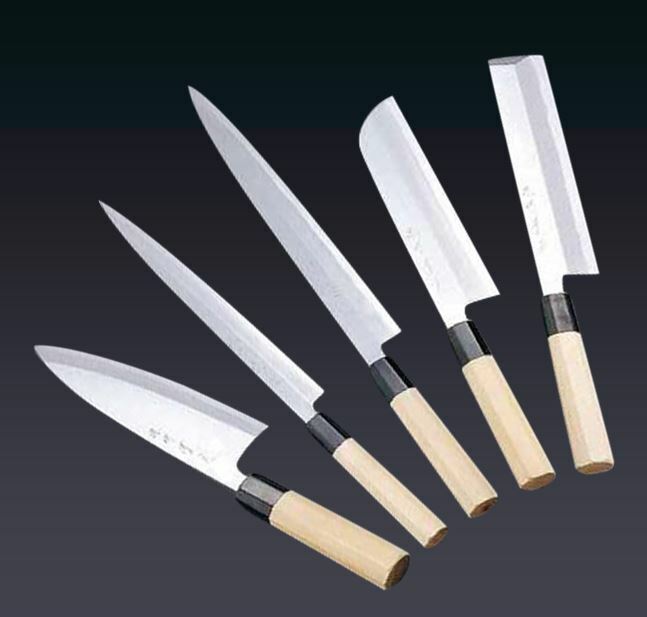 It’s sure that the hardness level of a blade of Aogami knives that are currently in the market is over 60 HRC. 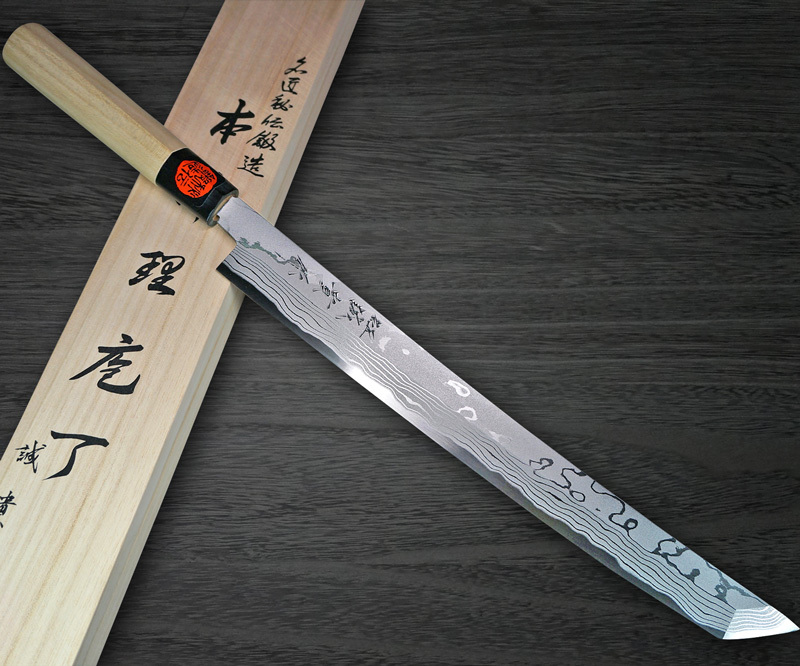 The moment when a blade is quenched, the hardness level soars to over 65 HRC. 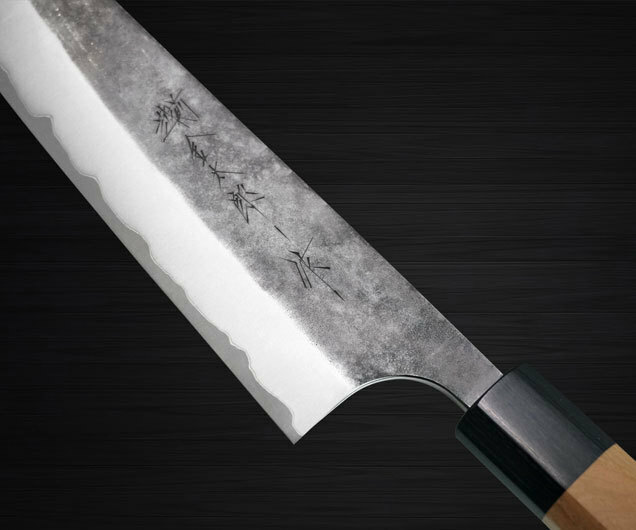 Then, the level is to be set back to around 61 HRC by tempering. 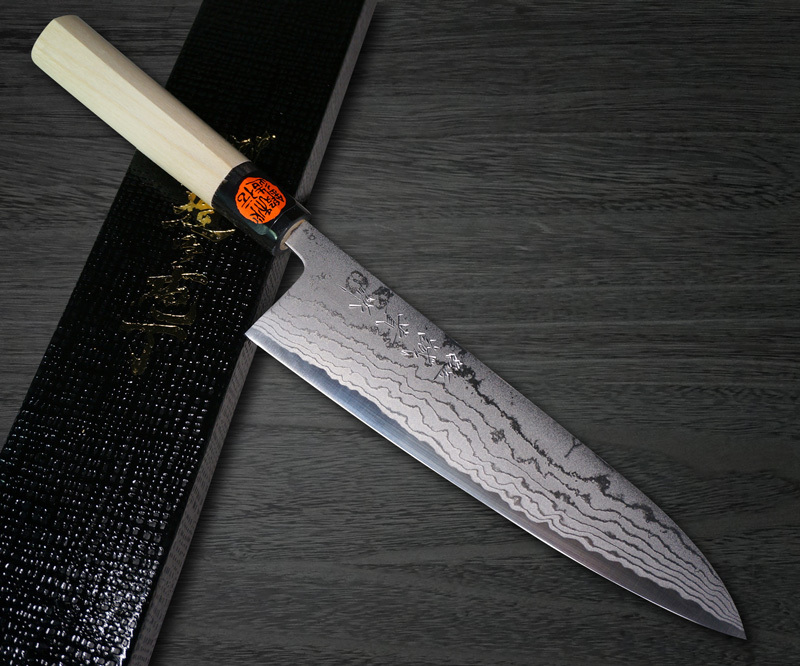 It would be very difficult to sharpen a blade with an artificial whetstone once the hardness level goes up to over 63HRC. 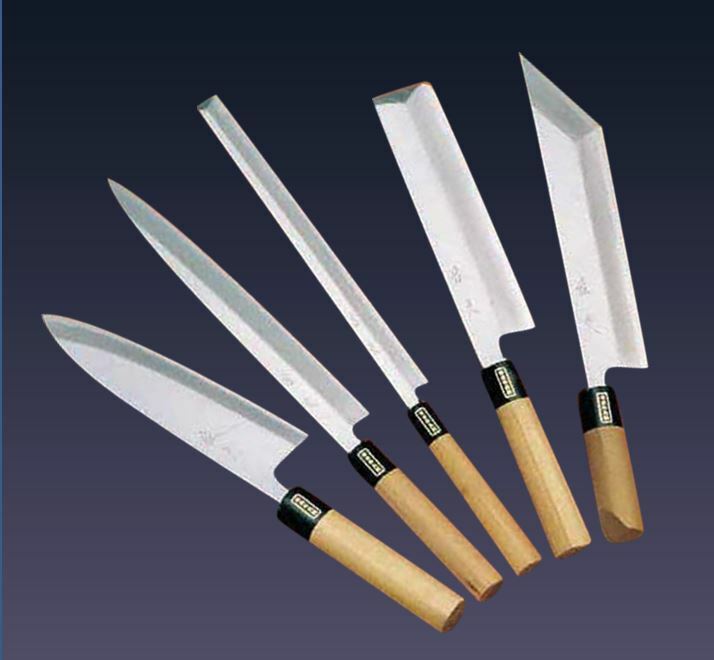 The followings are picked up for those who are looking for some Blue Paper Steel (Aogami or Aoko) Knives. 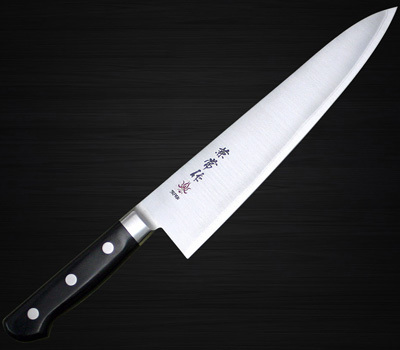 * There are additional items other than the above. 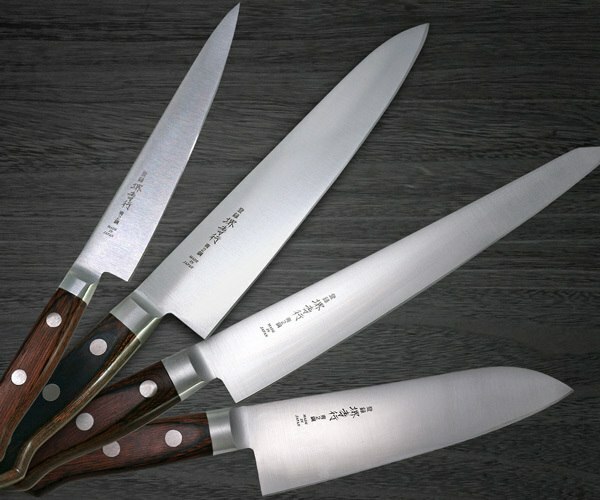 Search by the preferred keyword to find the best knife. 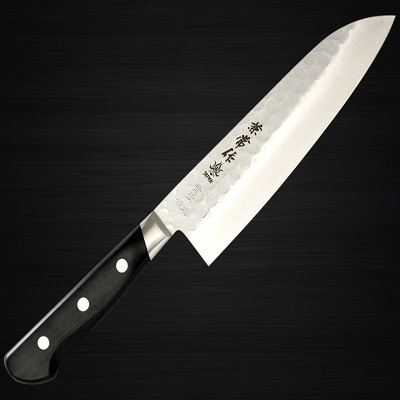 When you need more information and want to order the one, please do not hesitate to contact us. 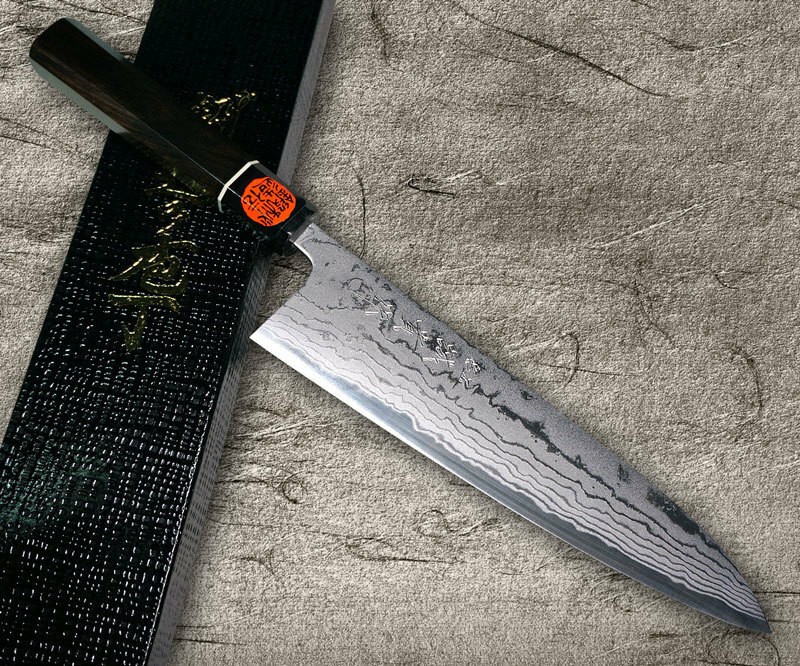 We'll support you as much as possible.